Home Recycled Recycling – are you doing it wrong? They might be stamped recyclable, but are they? If your family is like mine, you try hard to recycle every thing possible. Nowadays, our garbage bin is hardly worth walking out for collection because it’s rarely more than 20% full. On the other hand, our recycling bin is always full to overflowing. That’s a ‘feel good’ experience, so imagine my surprise when I discovered I’m making some big mistakes. In fact, mistakes big enough to possibly undermine my recycling efforts! My kids get to eat pizza every second Tuesday. The boxes go straight to the recycling bin. Wrong! It turns out that pizza boxes are one of the worst things we could be adding. The reason is the fats and oils the cardboard has absorbed. It’s impossible to remove during the recycling process which results in oily contaminants in the recycled paper. How serious is that? Apparently, very! All paper products are mixed with water in a large churner during recycling. This separates the oil from the paper fibres but the oil doesn’t dissolve in the water. Instead it gets dispersed throughout all the paper in the mix which results in the ‘new’ paper having visible oil splotches. And it isn’t just pizza boxes. A lot of take-away food is packed in paper or paper board. Think of fish and chips or fries if you’re a Macca’s fan. It turns out that all of that paper has to go into landfill, not to the recycling depot! I profess to not being a fan of coffee in paper cups. I dislike the waxy feel they leave on my lips and I swear I can taste the wax in the coffee. As it turns out, it’s not wax… it’s plastic coating that paper. There are many tens of millions of these cups consumed every day around the world. They’re paper so you ‘do the right thing’ and put them in the recycle bin, right? Wrong! It turns out that coating is every bit as bad as the oils and fats in that pizza box. It just can’t get separated and ends up contaminating everything. Unfortunately, it doesn’t stop with those coffee cups. Think of all those cold drink containers! The ‘Frozen Cokes’ and ‘Slushees’ and all the post-mix drink containers you get when you eat any type of fast food. They all create the same recycling challenges. In fact, the only things that are easily recycled are the plastic lid and the plastic straw! We’re lucky. Our major supermarket chains have recycling bins especially for shopping bags. But if you read the notice on the bin, they also list a whole range of other plastics, like food wrappers, biscuit packaging and frozen food bags. On the other hand, our recycling bin has a notice saying “Only hard plastics’. I always assumed they were a different plastic compound but that’s not the reason. It’s all about the sorting process. Air is used to separate paper from plastics and metals. The soft plastics get picked up with the paper and end up contaminating the lot! So what about the bags? Well, it turns out they also wreak havoc with the conveyor belts, getting caught up everywhere! The problem is so bad that some recycling plants schedule an hour of daily maintenance just to remove the bags from the machinery! My zeal to recycle everything I can, also includes every piece of paper, no matter how small. Well, it turns out that that’s another of my big mistakes. Those scraps are close to impossible to separate and they end of being trashed anyway. The solution – for me anyway, is to put all those scraps in a larger paper container, such as an envelope, and put that in the recycling bin. But if you’re using an envelope, make sure it’s paper and not one of those tyvek envelopes which are actually made of polyethylene fibres. Groan! Am I the only recycling zealot to be getting it wrong or have you been making some of these mistakes as well? I’d love to get your feedback. Just look for the comments section below! Next articleThe digital world mapped! Our county now accepts pizza boxes. 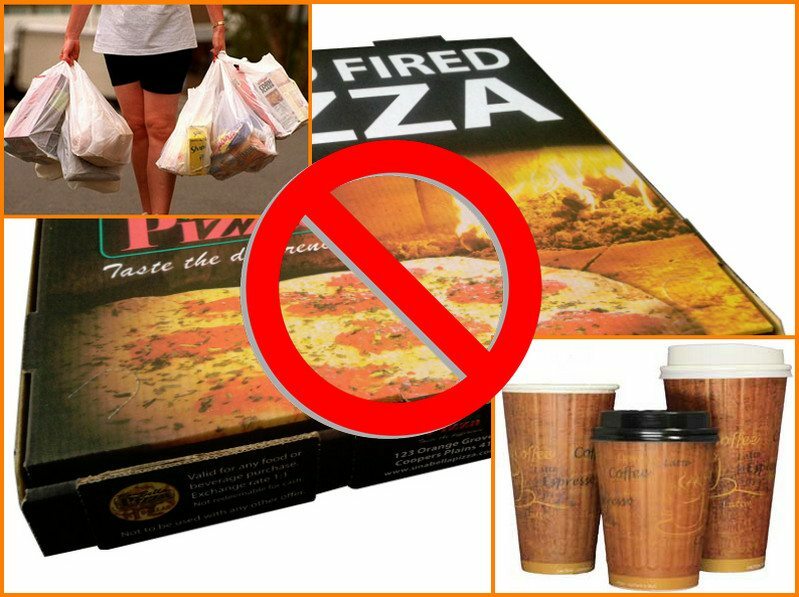 Check with your county to see if they will take pizza boxes before throwing them away.